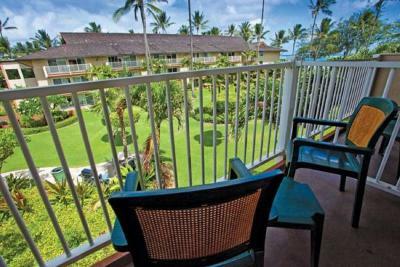 Lock in a great price for Kauai Coast Resort at the Beach Boy – rated 8.9 by recent guests! Loved the flowers and garden areas...along with the pool and the Beach. The restaurant was lovely too. Loved our stay at your Kauai Coast at the Beach Boy. A great place to stay on Kauai. This place is great. Clean large rooms. You can hear the waves all night. I’ll be back for sure. Gorgeous setting- right on beach with well kept gardens around pools and paths. Staff is always cleaning. Our two bedroom two bathroom suite offered my husband and me adult children plenty of space. The restaurant served excellent food. The bar by the pool had a happy hour. Plenty of lounge chairs to pull up to the beachfront and watch the ocean. We could walk across the parking lot to the country store for snacks and items we forgot. We could walk five minutes up the path to a beach front restaurant that offered breakfast, lunch and dinner. Near airport but quiet setting. Also a good location for sight seeing. The location was very good. Close to town and walking distance to the Coconut Marketplace - Island Market was ideal for us. Parking was very easy. The grounds were well kept and walking the grounds was very pleasant. Restaurant is great. Pool is nice and the view of the ocean is good as well. We loved our king suite. Having a small kitchenette and separate living/sleeping quarters was amazing. The kids sandbox/game area on the lawn by the pool was so great, kept us entertained for hours. Pool temp was awesome at 90 degrees! It was overall a perfect place to stay for our little family. The place is complete dishwasher, stove /oven,washer and dryer. The place is clean and ABC store is across the lobby. Rooms were spacious and beds were very comfortable. See my review of our stay from June 22-24,2019. Also, Mike the bartender at the Beach Boy poolside bar is a great asset for the resort. We really missed him on the days he was away. Kauai Coast Resort at the Beach Boy This rating is a reflection of how the property compares to the industry standard when it comes to price, facilities and services available. It's based on a self-evaluation by the property. Use this rating to help choose your stay! One of our top picks in Kapaa.Surrounded by tropical gardens and offering direct beach access, the Kauai Coast Resort at the Beach Boy features spacious condo-style accommodations along with on-site spa services and dining. It also features an outdoor swimming pool with a children's area as well as an oceanfront hot tub. 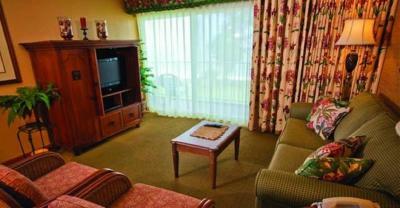 Guests can enjoy spacious studio and condo accommodations, furnished with private lanais air conditioning, and WiFi. 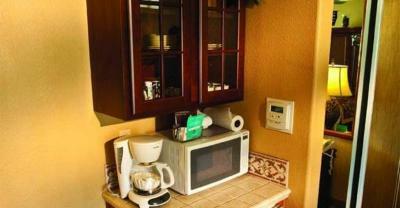 Select units offer kitchenettes, a washing machine and a tumble dryer. The property also features outdoor BBQ facilities along with onsite dining at the Hukilau Lanai restaurant. Recreational activities, including scuba diving, whale watching and snorkeling are available moments from the Kauai Coast Resort at the Beachboy. Guests can also find numerous restaurants, shops and entertainment options within walking distance. Beachfront hammocks and 24-hour front desk service is also available. The Kauai Coast Resort at the Beach Boy is 1 mi away from Lydgate Park which features rock-rimmed ocean pools that provides safe swimming and snorkeling for adults and children. Fern Grotto is only 3.1 mi from the property. This property is also rated for the best value in Kapaa! Guests are getting more for their money when compared to other properties in this city. 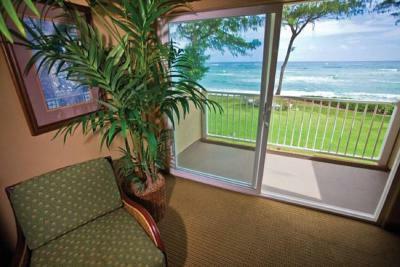 When would you like to stay at Kauai Coast Resort at the Beach Boy? This studio features a private lanai. This room can accommodate a maximum of 2 people, including children. This apartment features a fully equipped kitchen and a private lanai with views of the gardens. This room can accommodate a maximum of 4 people, including children. This one-bedroom oceanfront apartment provides a full kitchen and washer/dryer. This two-bedroom villa offers garden views. A full kitchen and washer/dryer are included. This room can accommodate a maximum of 6 people, including children. This two-bedroom oceanfront apartment provides a full kitchen and washer/dryer. Unwind in paradise on Kauai's scenic seashore and indulge in a pleasing selection of top resort amenities. Guests love our new pool area, a relaxing escape that features a children's pool, sundeck, natural rock formations, oceanfront hot tub and poolside bar. Enjoy eight acres of tropical landscaping and palm trees with fire pits, picnic areas and barbecue grills. Other top resort amenities we offer include fine dining in the open air at Hukilau Lanai, free Wi-Fi, and Spa Makaiwa, a full-service beachfront spa with highly trained therapists provide the best massage and facials on Kauai, individualized for you. House Rules Kauai Coast Resort at the Beach Boy takes special requests – add in the next step! Kauai Coast Resort at the Beach Boy accepts these cards and reserves the right to temporarily hold an amount prior to arrival. Kauai Coast at the Beachboy will be renovating their rooms between 10 April 2018 and 31 May 2018. Public areas such as the pool, and recreation area will not be affected. Buildings will not be occupied during renovations. Construction, noise and debris to be expected. The only thing that let our stay down was the cleaning in our master bathroom where the bathtub and shower didn’t seem to have been cleaned on the day, and also was badly in need of a good scrub to remove the build up of soap scum. Great staff, all friendly and helpful. Amazing room with gorgeous ocean view from the patio, and overlooking the beautiful garden. The facilities were great and our room had beautiful solid furniture and so many amenities. Much space in the villa. Near the shore. 3 minute walk to quiet beach on property, 6 minutes walk to Lava Lava Beach Club (excellent food on beach), Huikilau (sp?) upscale restaurant superb, friendly staff, grounds quite pretty with paved sidewalks, lots of parking, super comfy huge bed, very clean and huge room with two tables and chairs, adjustable thermostat (a godsend! ), on ground floor as requested, fridge, microwave, coffee maker, safe, double sized closet, right next to useful shopping plaza, ideal location for exploring the island. Spent a big birthday here and would happily return in a heartbeat. Wished there would’ve been more beach right in front of the property. It was very natural with all the drift wood but not very wide. Very sad the Hawaii Ana has been removed from the room. The culture has changed. Bathrooms need major remodel. I would have liked more casual seating (eg. couch or easy chair). It was a studio but room could have been situated so that it could have accommodated some type of casual seating. Small cockroaches/bugs in the kitchen area. Not very confident in the appliances being clean enough to use. Some appliances looking well worn. Wish the beach and surf wasn't too rough. Dinner at the restaurant was tasty, however we arrived 8 minutes after opening on a Sunday night, with a two year old, and were told the wait for a table was going to be over an hour. I understand that staffing on Sundays is usually light, but hard pill to swallow when you see 10 open tables. We loved our bartender at the pool, but it would have been nice to have tropical cocktails made with actual tropical fruit/juice ingredients. They were mixing with the same overly sweet generic mixers we can buy at home in our grocery store. Cocktails at restaurant were killer, time for pool bar to up its game to match!